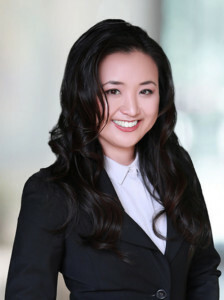 Jenny Kim works with business leaders in patent, trademark, trade dress, and copyright litigation. In representing major technology companies like Lenovo, Verizon, Samsung, Apple, and Amazon, and popular brands like Sugarfina and Too Faced, Jenny helps clients find effective solutions to complex legal issues. • Litigated trade dress and design patent cases to protect innovative product packaging. • Won judgment of invalidity of a portfolio of patents directed to mass-marketing technology on the grounds that the subject matter was ineligible under 35 U.S.C. § 101. • Reclaimed domain name rights under the Uniform Domain Name Dispute Resolution Policy on behalf of the incoming CEO of a famous apparel company against a cybersquatter who threatened to sell the domain name to the disgruntled former CEO. • In a competitor suit, successfully challenged the licensee’s standing to sue on patents relating to medical devices and won retraction of licensee’s libelous statements to customers. • Advised a smartphone manufacturer in resolving a dispute with a software developer regarding the distribution of pre-installed games and apps after the intermediate distributor breached the licensing agreement with the software developer. • Defended a declaratory judgment action brought by an infringing advertising agency that sought to use copyrighted photographs to promote itself under the guise of fair use. • Won patent infringement jury trial against plaintiff seeking more than $135 million in alleged damages.